Hands down these Harry Potter themed cocktails for Halloween are one of my favorite pots to date! The Second one is the Goblet of Fire! 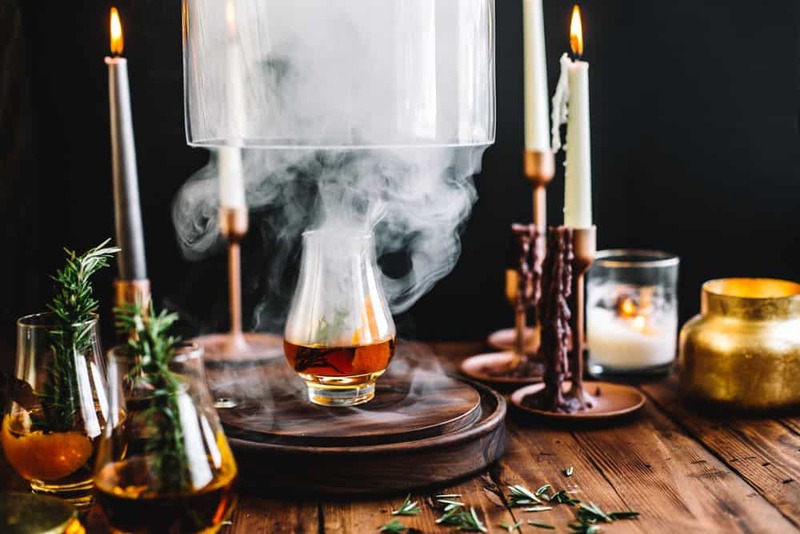 Since Halloween is just around the corner I wanted to make sure I snuck in a few Harry Potter signature cocktails for you to recreate at your own Halloween parties! 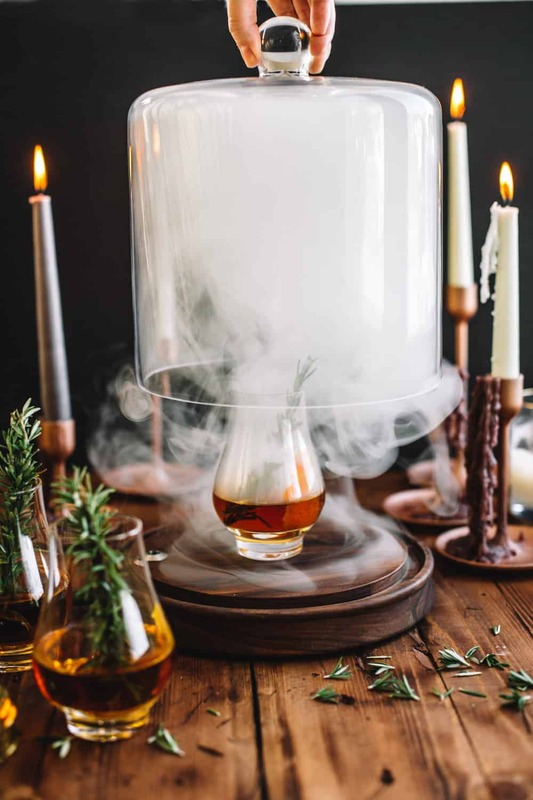 I mean who doesn’t love a dramatic smoked old fashion or a dry ice filled martini?! I know that these cocktails come across as magical and mystical but would you believe me if I told you they were actually SO easy to recreate?! Don’t you worry; I’m going to give you the REAL magic tricks so you can be Professor Snape at your next spooky party! 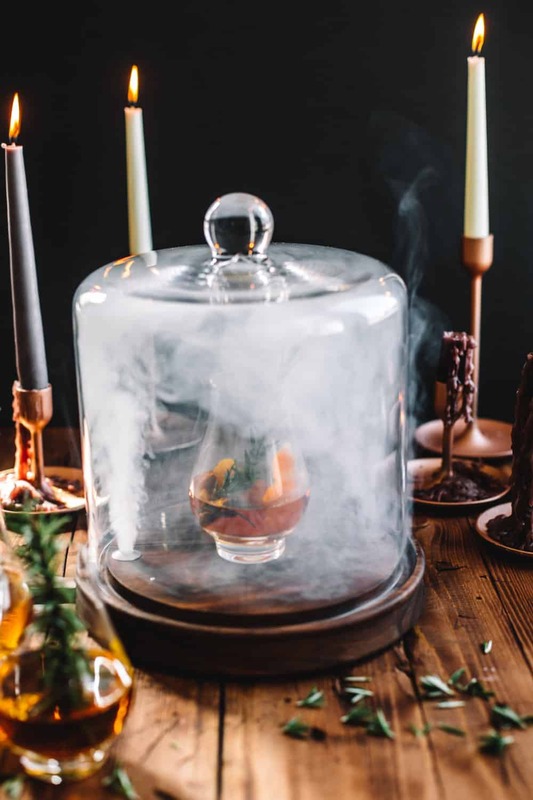 To give your cocktails a smoke infused and ultra Harry Potter flare, pick yourself up a Cocktail Smoking Cloche. Not only does this ultra cool device look amazing while entertaining, it was one of the most easiest kitchen devices I have ever used! Simply place whatever it is you’re trying to smoke (cheese, salmon, cocktails, etc!) into the vessel and turn on the handle filled with lit wood chips. If you love to entertain then you must pick up one of these smokers! Run orange peel around a nosing whiskey glass. Fill with bourbon, two dashes of bitters, sugar cube, and stir until sugar cube has dissolved. Top off with a large rosemary sprig. Place nosing whiskey glass into smoker machine. Turn on Fortessa Smoking Cloche and fill glass vessel with smoke for 15 seconds. Turn off machine and let cocktail infuse with smoke for 1-2 minutes. Serve immediately. Previous Post Harry Potter Cocktails: Elderflower Wand Martini!